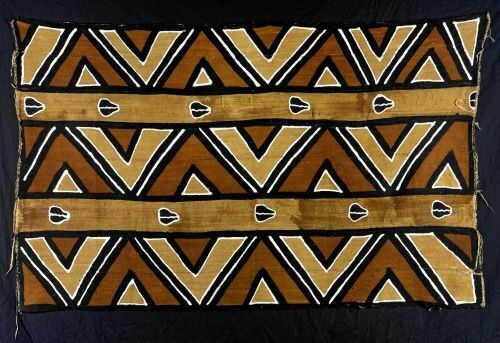 Mud Cloth is also known bogolan which, I was told by members of the Ladies Bogolan Cooporative in historic mud city of Djenne, Mali, literally translates to “made with” (bogo) “mud” (lan) in the Bambara language. A special type of fermented river mud is used to make the black dye used in coloring the material, while the yellows come from the wolo leaf and the reds and browns come from a type of wild raisin. Bogolan is in abundance throughout Mali and its birthplace is said to be in Djenne, which lies near to the banks of the Niger River. Traditionally, the men do the weaving of the un-dyed cloth, using thread that is hand spun from locally grown cotton by ladies using hand made spindles. The men weave narrow strips of cotton cloth, which are sewn together to create the desired width. This cloth is then shrunk and dyed a base color before the lady artists decorate the fabric with intricate symbolic designs. In the black and white cloth, the pure white designs are created using a method that involves bleaching the appropriate areas. Mud cloth should be washed separately in cold water to avoid staining other fabrics, and hand washing or dry cleaning is recommended, although my mother in California sucessfully washes her pieces in cold water on delicate cycle in a machine.